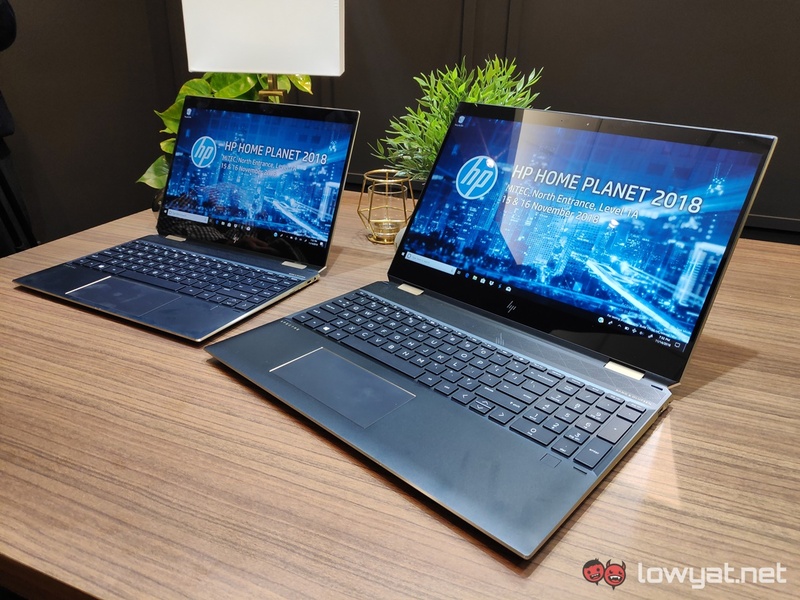 HP Malaysia has officially launched the Spectre x360 13, its convertible notebook series that first made its debut back in 2015. As a refresh, the Spectre x360 13 model we saw obviously came with several updates to its hardware and design. 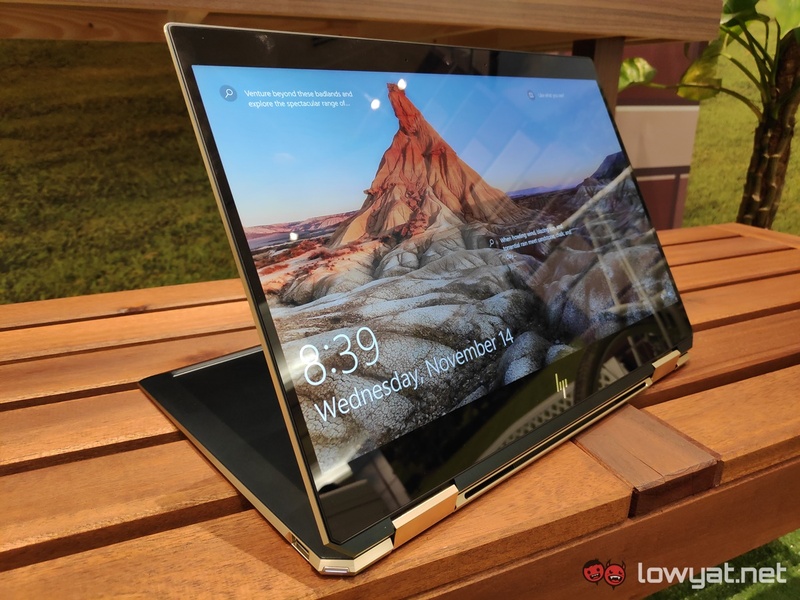 Specs-wise, the new Spectre x360 13 sports a 13.3-inch Full HD touch display, a selection of 8th generation Intel Core processors, up to 16GB DDR4 RAM, a choice between a 256GB or 512GB SSD. All housed inside a machine-cut aluminium chassis, which can easily be opened using one hand. 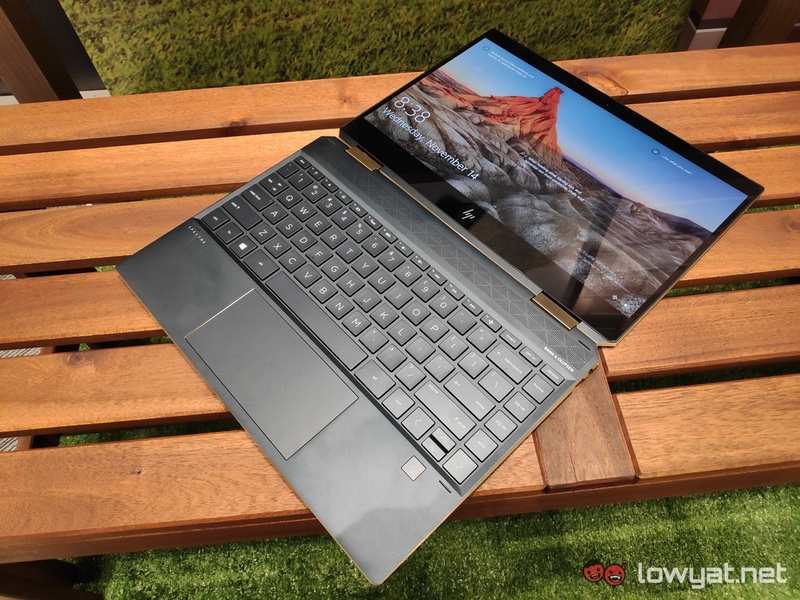 Like its predecessors, the Spectre x360 13 is very flexible, and can be folded and transformed into three modes: notebook, entertainment, and tablet mode. Ports-wise, the notebook houses a USB Type-A port, one USB Type-C Thunderbolt 3 port, and one USB Type-C port that supports fast charging. 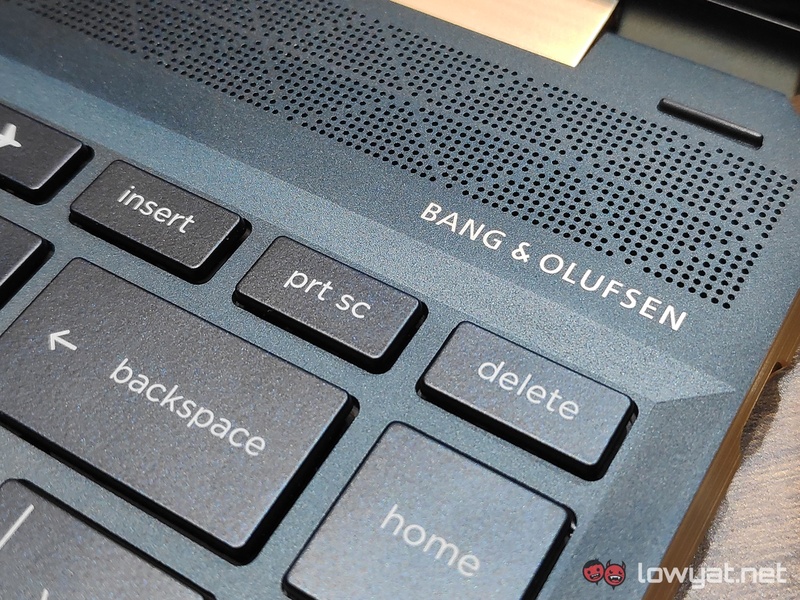 For audio, the Spectre x360 13’s speakers are tweaked and made in collaboration with Bang & Olufsen. The Spectre x360 13 also comes with a new webcam kill switch. A feature that seems necessary (depending on who you ask), given the number of incidents that have involved notebook webcams being hacked and used. All unbeknownst to the owner of the notebook. But the real icing on the cake is the Spectre x360 13’s long-lasting 60Wh battery. 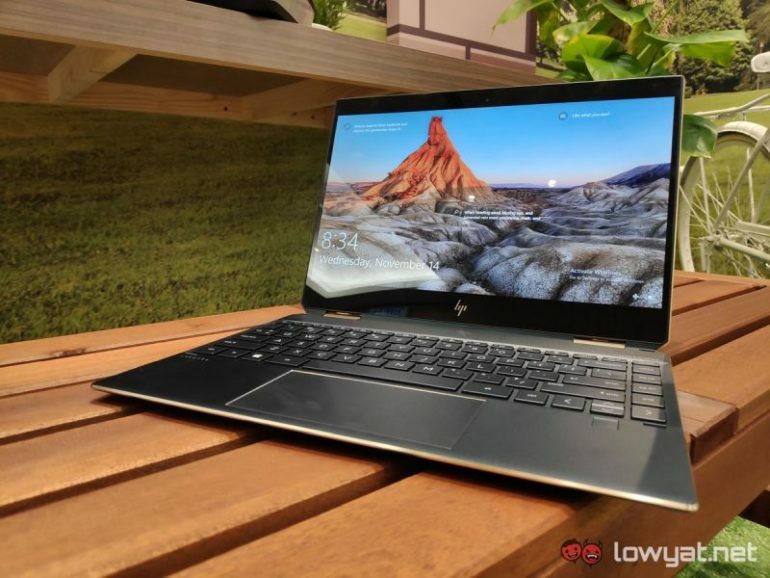 On a single charge, HP boasts that its notebook will go on for a maximum of 22.5 hours. Stating the obvious, that’s nearly a full day of continuous usage. HP says that the Spectre x360 13 will launching in Malaysia sometime in early December, and will have a starting SRP of RM5249. There’s also a 15.6-inch variant of the Spectre x360, although the brand didn’t specify if and when this model will be making its way into the country. Unlike its 13.3-inch brethren, the Spectre x360 15 comes with the advantage of having a up to an NVIDIA GeForce GTX 1050 Ti discrete GPU.